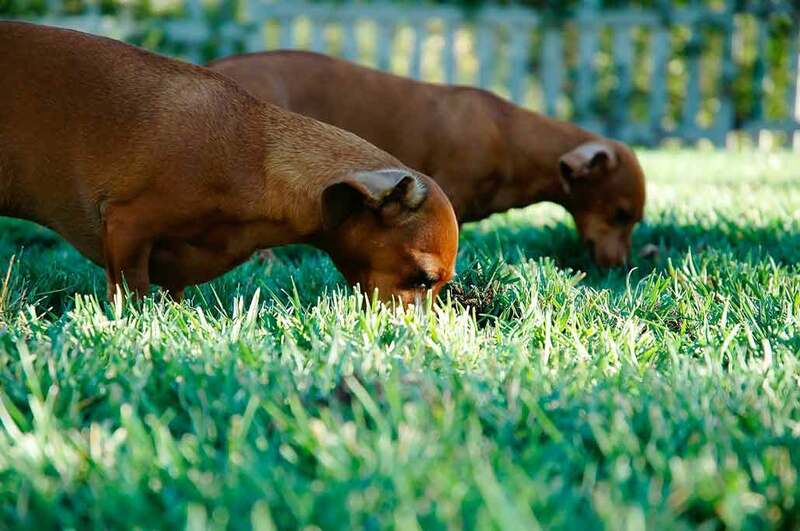 Have you ever noticed your pooch grazes on your lawn occasionally? It’s a strange behaviour to witness, but you’re definitely not alone. Many dogs eat grass, but thankfully for us owners, vets agree it’s perfectly normal behaviour and won’t do them any harm. Some dogs gulp big mouthfuls of grass and quickly vomit it all back up. While others forage slowly and seem completely fine in themselves afterwards. 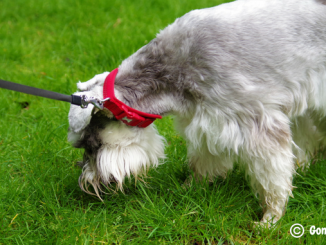 It’s not uncommon for dogs to grab or chew blades of grass and spit them straight back out. 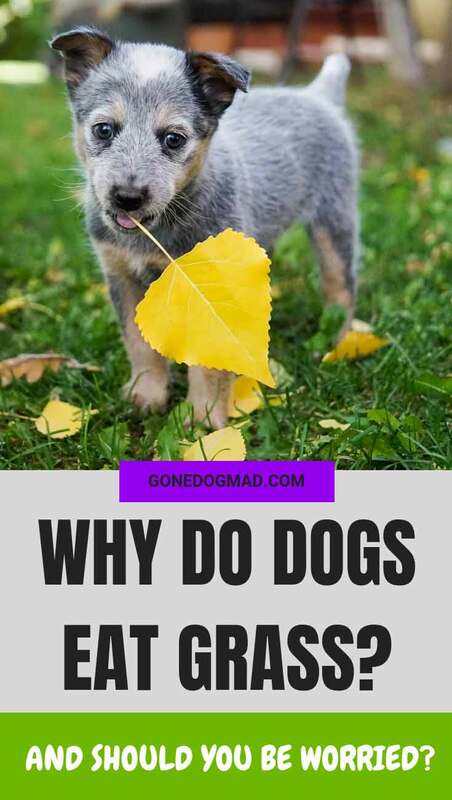 This odd behaviour may seem unusual to us, but why do so many dogs do it? The answer to the question: why do dogs eat grass, certainly isn’t black and white. There could be several reasons why your pup grazes on the green stuff. But while experts don’t know for sure, they’ve made a few solid guesses. Read on to find out why your dog might be eating grass, if you should be worried, (and if you’d rather they didn’t) what you can do to prevent it. Please note: There are affiliate links in this post. If you click a link and make a purchase I may receive a small commission at no extra cost to you. I only give recommendations for items I feel will truly benefit my audience. Thanks for supporting our blog! Do dogs eat grass when they’re sick? People commonly believe dogs eat grass when they feel sick or nauseated. This follows the idea that eating grass makes our dogs vomit and helps them feel better. Others suggest dogs may chow down if they’re feeling gassy or bloated, while others say it could be to treat intestinal worms. 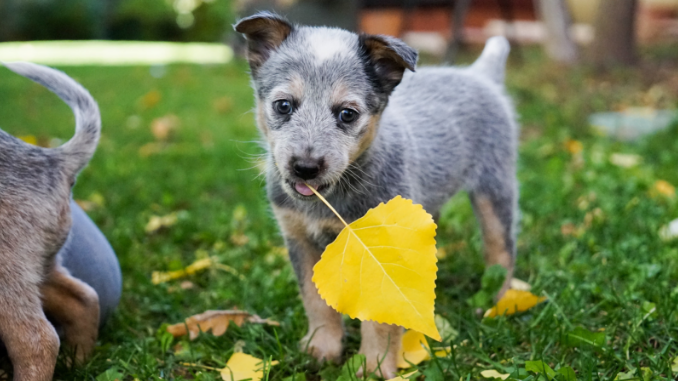 While these theories may sometimes be the case, a study by the University of California revealed that most dogs don’t show signs of being unwell before eating grass. Of the 33 owners involved, only four dogs showed any signs of illness beforehand and only six dogs vomited after eating grass. The veterinarians went on to conduct a larger web-based study with results from more than 1,500 owners. The results found only 8% of dogs frequently appeared ill before eating grass, while 22% said they regularly vomit afterwards. Interestingly, a massive 68% said their dogs eat grass on a daily or weekly basis. Our dogs can get up to all sorts of mischief when they’re bored. That includes going on destructive rampages by chewing, barking or digging up whatever takes their fancy. But grass eating can also be a sign your dog lacks stimulation and is looking for ways to fill their time. If you give your dog access to the garden all day and they find there’s nothing to do outside, eating grass can be a form of energy release. Some dogs may dig up the flower beds or bark at the neighbours when they become bored. But your dog may also graze to put their mind to work when there’s nothing else to do all day. Perhaps the most probable reason your dog eats grass is simply because they enjoy it. If they’re out exploring the garden and looking to pass the time, snarfling your lawn can be a fun and rewarding activity. Maybe they like the taste or the texture and find it fun to rummage through the garden carpet. If your dog appears calm and selective about which grass they eat, they’re probably doing it because they like it. This behaviour shows your dog isn’t frantically scoffing grass out of illness, they’re choosing their favourite type of grass to nibble on. Like a doggy delicacy! Some experts suggest dogs may eat grass to tackle a nutritional deficiency. Grass is high in fibre, so if your dog lacks the right fibre levels in their diet, they may seek ways to put these essential nutrients back into their body. In 2007, a study by the Journal of Veterinary Medical Science reported on a poodle that ate grass and vomited for seven years. After the owner switched the dog to a high fibre diet, the poodle stopped eating grass altogether after just three days. Experts believe a fibre deficiency was a direct cause of the poodle’s grass eating behaviour. Even dogs that eat a high-quality, balanced diet will eat grass too. But if you suspect your dog’s diet is not as wholesome as it could be, look for an alternative dog food. All about dog food is a great resource that provides ratings for all the popular brands in the UK to help you make an informed decision. The last reason your dog might be eating grass could be linked to our furry friend’s wild ancestors. Dogs in the wild scavenge all kinds of foods that are beneficial for their health – including meat and plants. They also hunt and devour entire carcasses of herbivores, and consume the vegetation that sits in the animal’s stomach. This act may have driven dogs to seek out plant matter in order to gather alternative nutrients. Our domesticated dogs may instinctively see grass as a valuable food resource, and after all, it’s widely available in our gardens and around our homes. Should I worry about my dog eating grass? It’s completely normal if your dog occasionally eats grass. If they enjoy it and you don’t mind them grazing on your lawn, leave Fido to it. Even if it’s a daily ritual and there’s no signs of illness, there’s really no need to worry. If your pooch does vomit after eating grass and they seem normal afterwards, they’ve likely gotten rid of what was bothering them. Simply monitor your dog over the next few hours and consult your vet if it happens more than once. If you know your lawn has been treated with pesticides or fertilisers, it’s best to prevent grass eating. These products can be toxic if eaten, so always check the packaging and make sure they’re safe for pets. You should also discourage grass eating if your lawn is rife with slugs and snails, as accidental consumption can cause lungworm. If left untreated, your dog could suffer heart problems, and in severe cases it can be fatal. But if you want to put your mind at ease there are lungworm prevention medications your vet can prescribe. 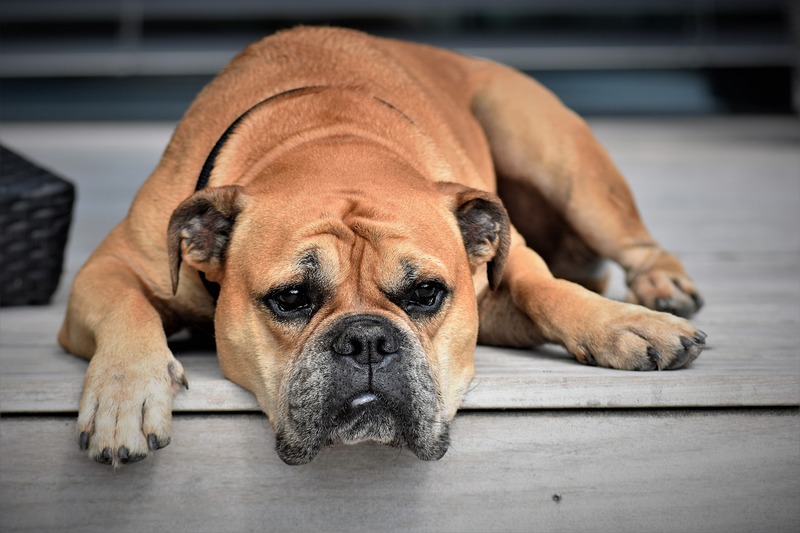 There are certain circumstances when you really should book a vet appointment – particularly if your dog eats grass excessively and they’re frequently vomiting throughout the day. You should also seek advice if your dog is retching a lot after eating grass but is unable to throw up. If your dog is usually disinterested in eating grass and they suddenly start grazing, this could also signal an underlying problem. Sometimes dogs eat grass compulsively as a way to relieve their anxiety. Consuming grass can offer a form of comfort when a trigger causes them to become stressed or upset. 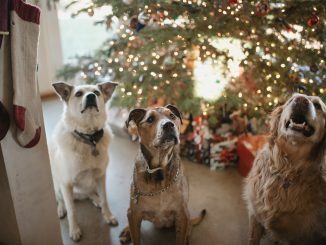 This anxiety could be spurred on by unfamiliar people or animals in the home, hearing noises around your home’s boundaries, or jealousy of people or objects your dog sees as theirs. 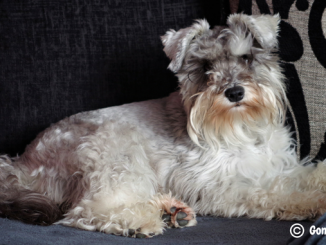 A vet can offer advice for the best methods to treat your anxious pooch. If your dog is healthy and you’re concerned they’re eating too much grass out of sheer boredom, you may want to try and discourage the behaviour. Equally if the behaviour is fuelled by anxiety, you’ll want to help your dog feel better and remove the urge to graze. Here are a few useful tips to curb your dog’s desire to eat the green stuff. Re-evaluate your dog’s daily exercise routine. Do they get enough opportunity to stretch their legs in the morning and when you come home from work? Many destructive and unwanted behaviours are directly linked to a lack of exercise. Bored dogs will seek out ways to entertain themselves, and that’s not always in a way we’d like. Grass eating can be an outlet in the same way chewing furniture or barking excessively is. If your dog still has ample energy after your usual walks, consider increasing the duration or going to a new environment where they can run off lead. If you’re in work all day, consider hiring a dog walker so they can burn off steam during the day, or drop them off at doggy day care. Physical exercise is important, but mental challenges are just as fun and can be a great energy zapper. 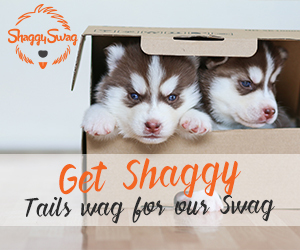 For starters, you can keep your dog occupied by providing appropriate chews that are tasty and long-lasting. 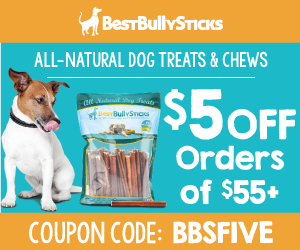 Buffalo horns, antlers and bully sticks are all great low-fat options. There are hundreds of brain games made specifically to challenge your dog and keep their brain active. I love the games by Nina Ottosson and Trixie . The brain games by either of these brands are fantastic choices. But if you’re really stuck for ideas, simple training exercises can do wonders for relieving boredom. Teach your dog a new trick or create a homemade agility course. If you want to push the boat out, enrol your dog in a training or sporting course. 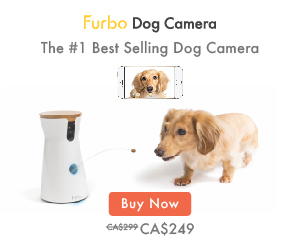 Not only will this keep their mind off devouring the lawn, you’ll also have a healthier and better-behaved pooch in the long run. If you’ve discovered your dog eats grass whenever they’re upset or under stress, there are a few methods that may help ease their urge to graze. The first step is to consult your vet to find the right treatment method for your dog. A vet may suggest you simply increase their exercise to help your dog feel calmer overall. Or they may suggest you try calming aids like these various herbal remedies . They may also prescribe calming medication or tell you to contact a behaviourist who will introduce desensitization therapy. This form of therapy will help build your dog’s confidence so they eventually become less reactive to their triggers. If you think your dog is eating grass due to a fibre deficiency, there are two things you can do. You can change their regular dog food for one that’s high in fibre like this one from Royal Canin, or you can introduce fibre-packed vegetables into their diet. Serve boiled or steamed veg to supplement your dog’s meals or offer as a tasty snack. Broccoli, sweet potato, carrots, spinach, peppers, peas, butternut squash, courgettes and sweetcorn are all fantastic high fibre foods you can safely feed your dog. If you’re feeding sweetcorn, make sure you only serve the corn itself as the cob can be a choking hazard. As with any new foods, offer small quantities initially to avoid upsetting your dog’s stomach. Some dogs are repelled by the scents from certain spices and plants. Try mixing cayenne pepper or chili powder with water to spray around your lawn. Avoid going overboard as too much can cause your dog’s nose to become inflamed. Another homemade option is mixing equal parts of vinegar and lemon juice. Only spray this mix along the boundary of your lawn as the vinegar could harm your grass. 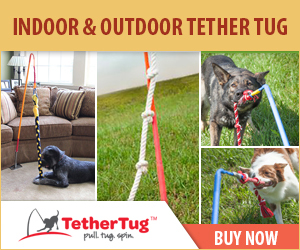 This may stop your dog crossing onto the lawn or lingering on the grass. Other people suggest strategically placing dog-repellent plants in the borders around your lawn. Some plants naturally give off a scent dogs dislike, which may discourage your dog from hanging around too long. A few options include marigolds, citrus trees, coleus canina, lemon grass and peppermint. Dogs learn what we want through training and corrections. The ‘leave it’ command is perfect for teaching your dog to keep their gnashers to themselves. Put a lead on your dog and guide them into the garden. Let them sniff the grass as they please, but as soon as they start nibbling, say ‘leave it’ in a firm, low voice and guide your dog gently in the other direction. The key to this training is consistency. If you miss opportunities to correct your dog you’ll have a hard time breaking the habit. Whenever your dog goes into the garden, go with them to work on your training until they no longer show interest in eating your lawn. But this training may not be effective on its own if your dog is under stimulated. If your dog is eating grass out of boredom, be sure to increase your dog’s mental and physical exercise at the same time for the best results.